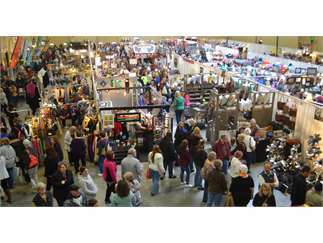 Hundreds of the nation’s finest artists and crafters display and sell their handcrafted works. Our Arts & Crafts tour of shows are consistently ranked in the Top 100 Shows in the Country by Sunshine Artist Magazine. An hourly gift certificate winner, plenty of food & drink, lots of family fun, and free parking! Friday 11am to 9pm; Saturday 9am to 6pm; Sunday 10am to 5pm. Tickets: Adults $10, Seniors $9, Children Under 10 are Free. *Your paid admission is good all weekend long with a hand stamp! * For more information, visit our website at www.hpifestivals.com or call 402-331-2889. Cost: Adults $10, Seniors $9, Children Under 10 are Free. Your paid admission is good all weekend long with a hand stamp.